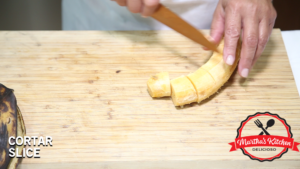 Peel the banana and cut it into 3 cm wide chunks. 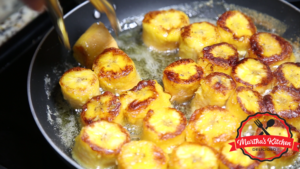 Place the plantains in the pan and cook over medium heat. 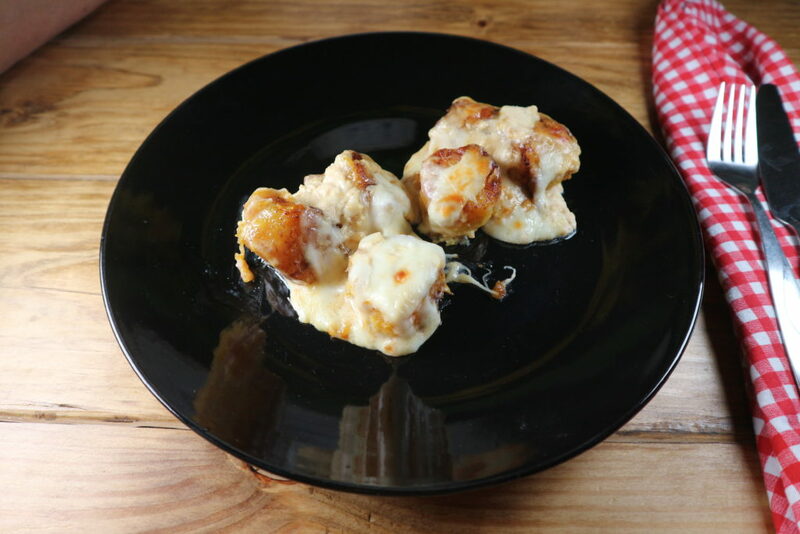 Flip when they are golden and cook on the other side. Mix table cream, milk, and sugar. 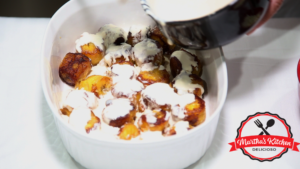 Pour the mil and cream mixture over the plantains.